Another Distributed Proofreaders project using images from Villanova’s Digital Library has just opened up. 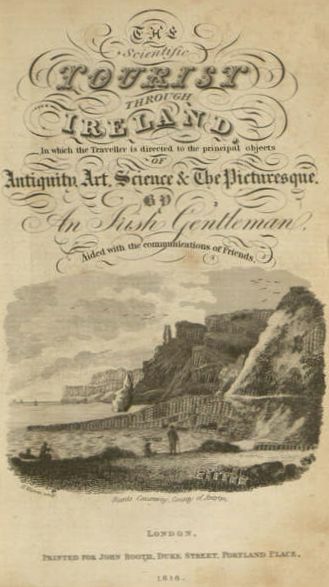 The Scientific Tourist through Ireland is an 1818 travel guide discussing “antiquity, art, science, and the picturesque” in Ireland, “arranged by counties.” In addition to all of this information, the book also includes several maps and plates. If you’re interested in seeing what travelers were interested in nearly two centuries ago, please join us in preserving this vintage book as a new electronic edition. First, read our earlier blog post about how the proofreading process works, then dive in at the project page.